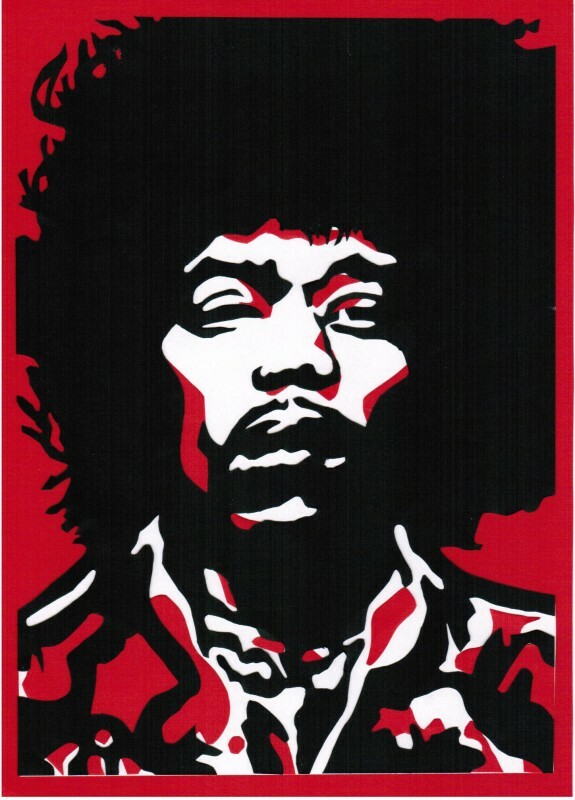 Since I’m a huge jimi hendrix fan, I made this papercut for my boyfriend as a christmas present. It consists of 3 layers and is 21 x 29cm in size. Cutting the individual shapes was pretty tiring and took me ages. But I think it turned out great!